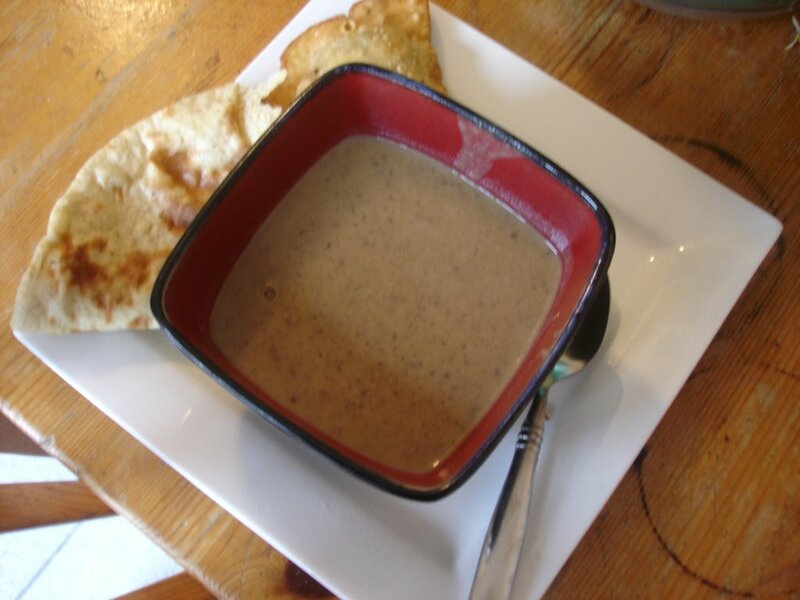 Yesterday I made this yummy curried pumpkin and black bean soup from 28 cooks. As soon as my hubby smelled the curry wafting through the house he ran out and picked up some somosas and chipati to go with the soup. An excellent addition, I must say. I love this soup because it is made creamy with soy milk and has black beans in it. The black beans add a nutrition boost both for their fiber and protein count. My soup didn't turn out nearly as orange as 28 cooks, but it was still yummy. I love that your hubby ran out to pick up the samosas etc just due to the smell! I also love the sound of the combo between black beans and pumpkin...yum. this soup sounds awesome & i actually have room for another bowl! the apple loaf looks delicious, i need to revisit TEV. Pumpkin and black beans are incredible, but I've never thought of putting them together! I think I would love that soup! I think the soup looks yummy! I love soups in the winter time. Looks awesome, and I love that red bowl!! Thanks for stopping by 28 Cooks!